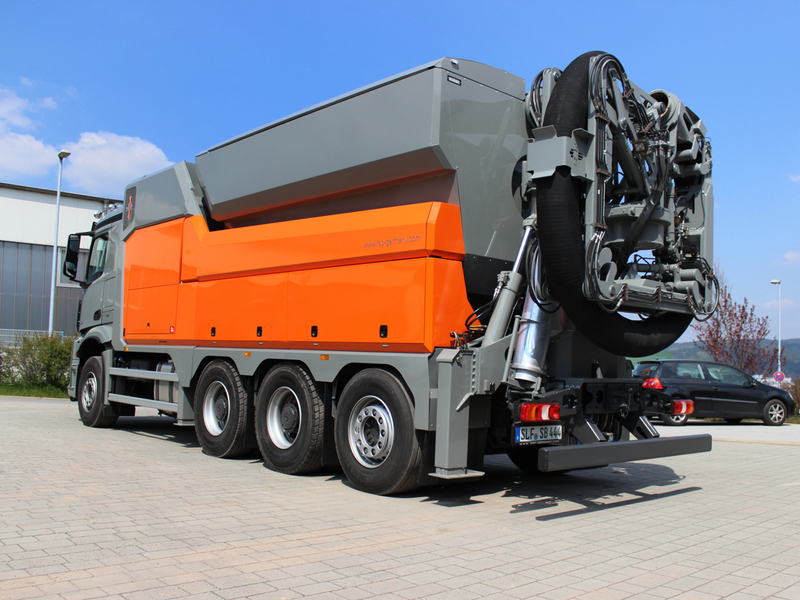 The possibility of emptying on both sides in conjunction with variable tipping heights on the ESE 8 RD 8000 provides a flexibility previously not known to suction excavators. Regardless of whether it is a storage location, skip or truck loading area, it can be emptied on both sides in variable heights, increments and tilt angles. The new central container mounting and the four supports with automatic levelling enable flexible emptying on both sides. The tipping height of 1.80 m to 2.50 m can be varied. The ESE 8 RD 8000 is equipped with four anti-roll bars that level themselves out at the touch of a button automatically. This ensures an optimal emptying position every time. 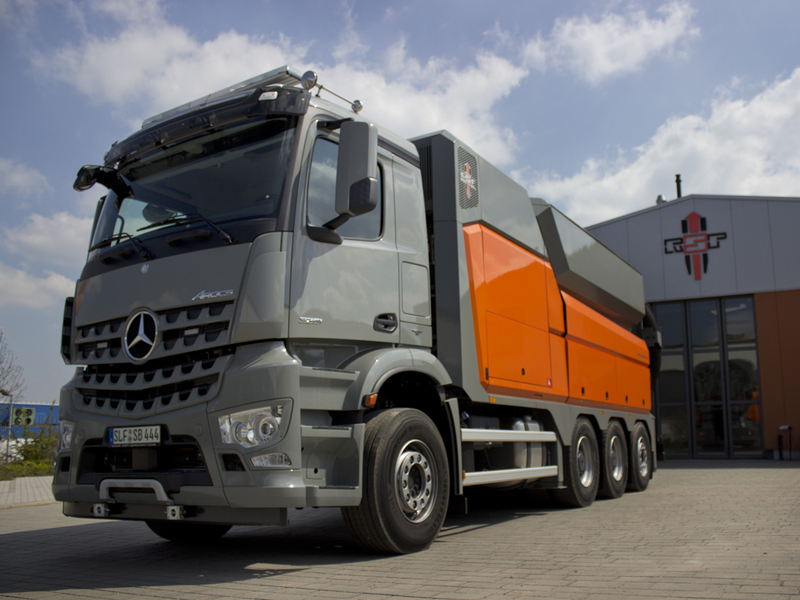 A completely new development is the RSP jointed hose carrier of the ESE 8 RD 8000. To maximize the working range while, nevertheless, keeping it flexible, it has one joint more and is now fitted centrally at the rear of the machine. This increases the working range by 20% and is symmetrical on a suction excavator for the first time. Completely newly developed RSP smart control offers a never seen before precision. RSP Smart Control enables automatic positioning of the RSP jointed hose carrier in working or transport position at the touch of a button. The electronic on-board information system with the large monitor makes it easy to keep all operating states of the machine in view - both in the cockpit and at the rear when working. Information, registration, control, monitoring: It reliably provides all decisive data and parameters on the operating state of the ESE 8 RD 8000. The RSP Telematics coupled to the control informs you about the current status of the vehicle at any time in the web or as an app. 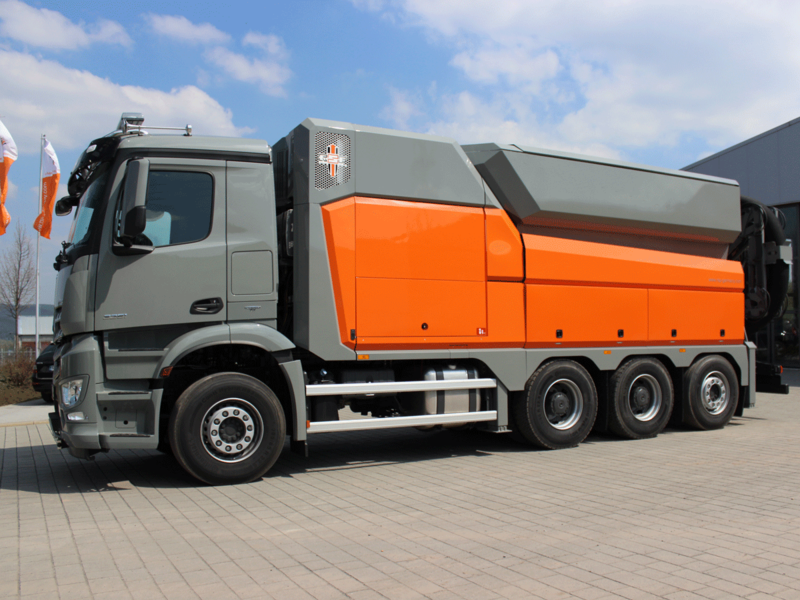 Some of the advantages include efficient scheduling by GPS tracking, reduction in fuel consumption by speed monitoring, and even theft protection or machine misuse. The ESE 8 RD 8000 impresses beyond any doubt through its elegant but functional design. 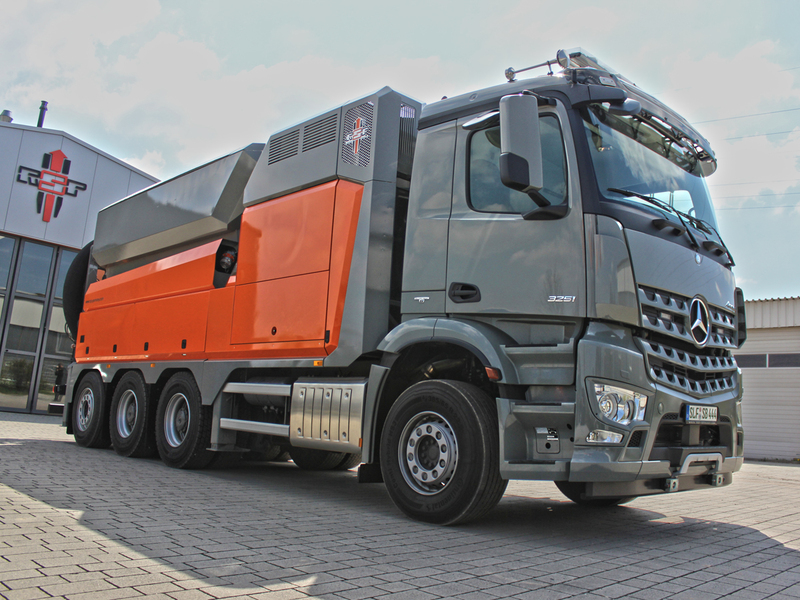 The symmetrical structure guarantees an optimum axle load distribution and now provides our customers with even more storage space for optional accessories. The newly conceived spacious stainless steel storage compartments on both sides are appreciated in practice. They are equipped with door closing systems that make opening them easier and improve how they are accessed. The completely new cooling concept was integrated into the tried and tested hose shelf that is accessible from both sides and located behind the driver's cabin in the upper area. Moreover, there is additional storage space for two further hose extensions in the purpose-built tray areas located above the stainless steel storage compartments. 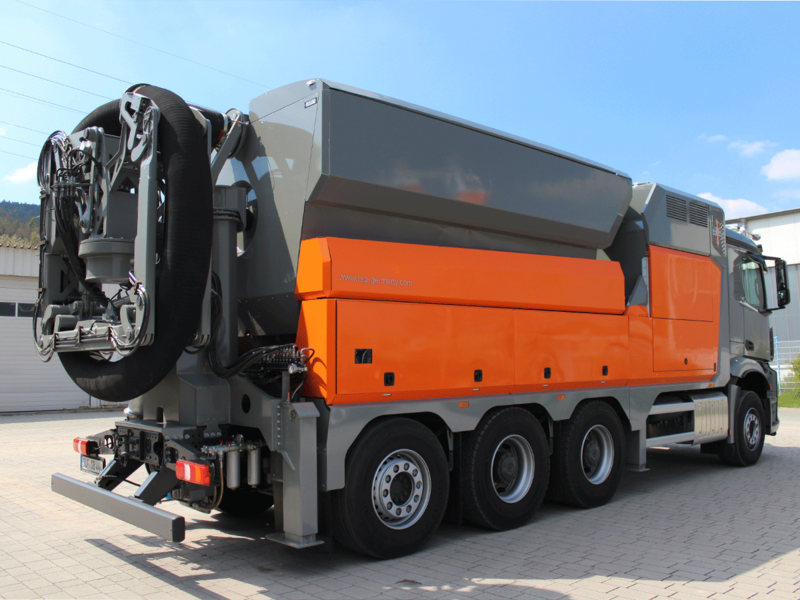 RSP as an innovative company in the field of mobile suction technology has added a new model range to its portfolio of proven suction vehicles, of which the ESE 8 RD 8000 is the first model. 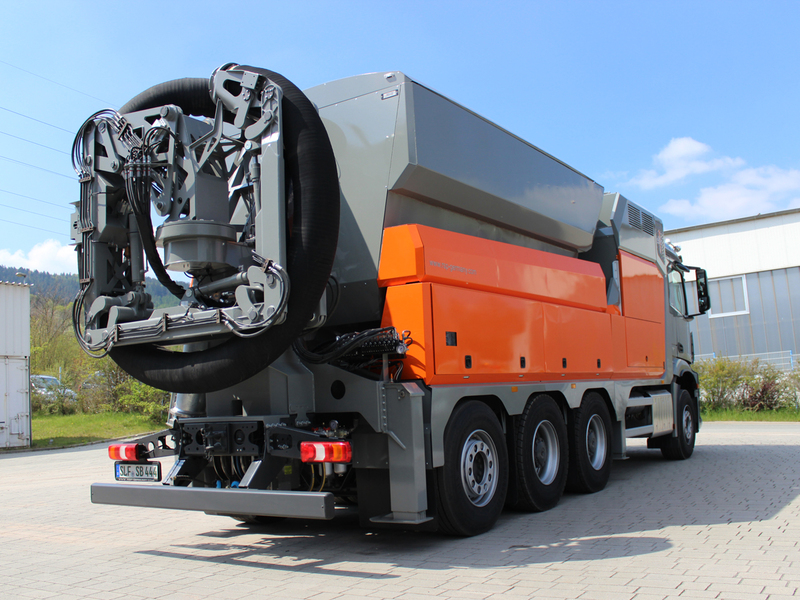 This new model range has a number of improvements that developed as the result of 23 years of experience in suction excavator production and a close cooperation with our end consumers. We see new developments as an obligation to be able to always offer our customers the most modern and most effective technology, because this guarantees you the competitive edge.